On Saturday morning my mom and my youngest son Jason joined me at the Buggy Barn Outdoor Quilt Show. There were about 200 quilts displayed all over the farm hanging from all the buildings, along the fences and on clothes lines. 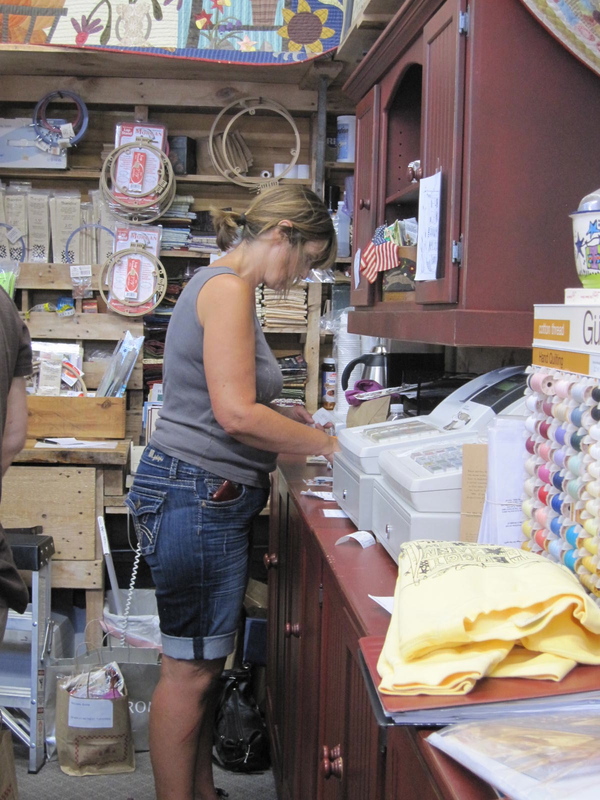 The store was very busy with many quilters buying fabric, patterns and books. It was a really fun day surrounded by everything I love. Thanks to Pam, Janet and all their family for making the week so much fun. As my family lives in Spokane I am staying a few extra days visiting. I hope to be of help to Jason as he plans his move to Portland. This entry was posted on Monday, August 29th, 2011 at 9:35 pm	and is filed under Uncategorized. You can follow any responses to this entry through the RSS 2.0 feed. You can leave a response, or trackback from your own site. 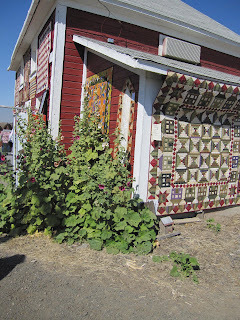 Would love to go to that show, lots of wonderful quilts and a variety of styles. Sue, Stunning quilt show. And you know what, I love sea grass, love it, really love the look as I'm using it for the first time on one of your Emperial Blooms block. What an amazing quilt show – thanks for the super pictures, Next best thing to being there! Love from an autumnal Devon, England! 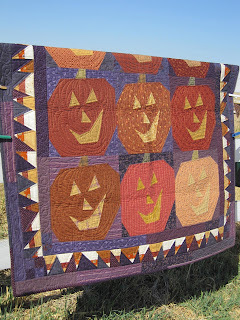 How fun to see all those quilts hanging everywhere! Thanks for showing the fun quilts on the barn and everywhere. What a fun week you had and I'm glad you got to see your family!! I loved the colorful primitive people quilts. Looks like an interesting technique. So glad Jason is moving to Portland. Could be I'll catch you again at a store near by.